Find out more about the epic events coming up in Edinburgh and Manchester. We're half way through Survival season with the final events taking place on the 23rd of October in Edinburgh and the 29th of October in Manchester. Each course features 10 packed obstacle zones across a 10km course in city-centre locations. The 10 obstacle zones include the enormous scaffold build Urban Jungle, the Playground, the Barracks and the Waterworks featuring a monster water slide not forgetting Radio X’s very own X-treme zone. All in addition to some Survival obstacle classics, such as the colossal hay bale wall, the Parkour zone and the infamous Men’s Health Wall of Fame – a sheer eight foot high construction, which competitors must scale before they are able to officially call themselves a Survivor, collect their hard-won medal and best-in-class goody bag. To get competitors ready for this year’s event, the experts at Men’s Health have put together a training plan for all whether you’re a running veteran or you’re ready to put down your beer and try something new. The plan uses a combination of bodyweight and cardio training to put runners through their paces and prepare them both physically and mentally for the upcoming event. 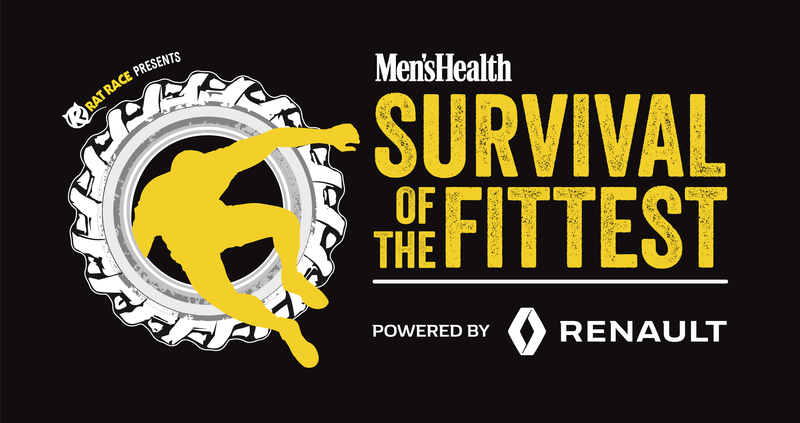 To enter, or for more information visit the Mens Health Survival of the Fittest page here.